Buy horse barns from Alan’s Factory Outlet and get the best possible value for your investment. We provide free delivery to 30 counties in the state of Virginia as well as convenient delivery options to many other locations. Also, we have a large selection of colors, sizes, and structural options to choose from. Where else can you purchase customizable horse barns at such low prices? Tack rooms add to the length and total size of the building. You can add a tack room to either a run-in shed or a horse barn. Run-ins and barns can also be added together. Keep your horses safe and secure in one of our beautiful and sturdy horse barns. Our custom-built, heavy-duty wooden horse barns come in several styles, making it easy to find one online that meets your unique needs as a horse owner. We have run-in sheds and modular horse barns that can be easily set up with a tack room or stall. In addition, we have two-story horse barns for sale that can be custom-built for your site. Our two-story horse barns provide you with plenty of overhead space for hay, straw, and other horse tack and supplies. And Alan’s Factory Outlet offers a wide range of barn color schemes. Each new barn has a durable roof made of metal. Barn colors vary depending on the type of stain you choose. Customers have a choice of 19 different colors for their metal roof, including nine neutral shades as well as Brite White, black, slate blue, evergreen, and red. 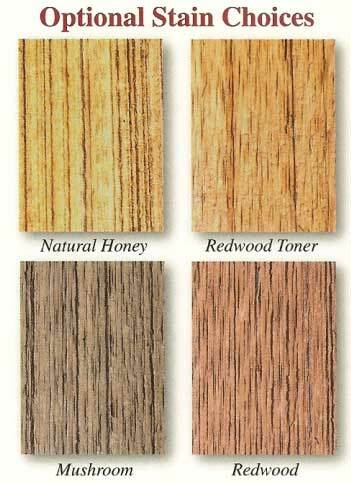 There are also four color options available for the wood stain used on the walls of the barn. As a finishing touch, we give you a choice of asphalt shingles in pewter gray, shakewood, hickory, and other appealing colors. Refer to our sample images for all of our barn color schemes in addition to our prices and structural options. Our horse barn prices are subject to change without notice, but we will always strive to provide the best prices possible on these Amish-built horse barns. Please call us to receive the most up-to-date information before placing your order. Our prices include free delivery to 30 local counties in VA and 8 counties in WV. Call now to talk to a knowledgeable member of our staff about horse barn color schemes, prices, sizes, and custom needs! We want you to buy a barn that you and your horses will love!